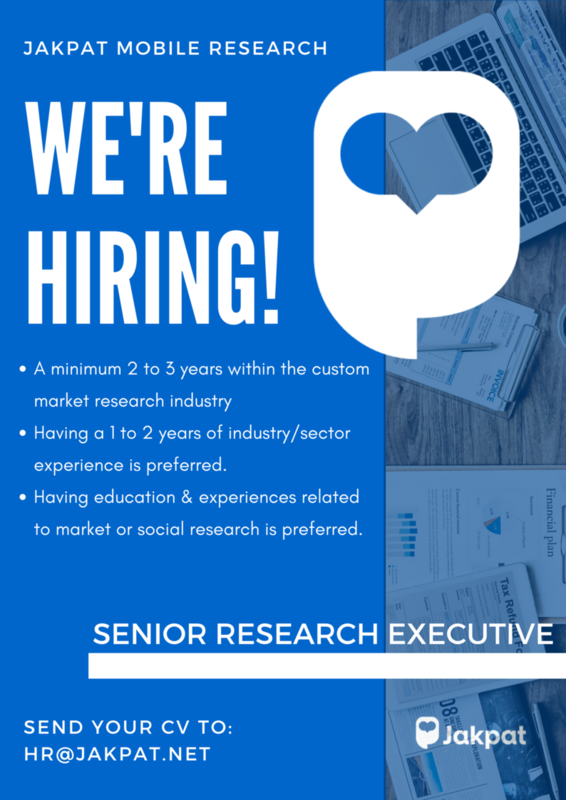 As we are striving to evolve more this year in the mobile research industry, we are looking for the best people to grow with us and expand our vision. Research Guideline - for Internal and External Research Analyst. Enforcing to Internal and External Researcher about the implementation of Research Guideline made. Will lead the research division with one research executive, two statisticians and one external research/blogger coordinator. Collaborate with Client-team to ensure each report delivered to clients is qualified. Collaborate with the product team to ensure the development of new research product is align with research guideline made. Produce research guideline from design to reporting to be used by all researchers in JAKPAT. Conduct product sharing session to distribute product knowledge to all team. Conduct quality control of the whole research process of all client and premium report. Having 1 to 3 years of industry/sector experience is preferred. Having education related to market or social research is preferred. Having experiences in market research as a researcher is preferred. Work as part of the team to meet the objectives and targets of the business plan, using established internal processes. Using research guideline from design to reporting to be used by all researchers in JAKPAT. Having 1 to 2 years of industry/sector experience is preferred. This entry was posted in News Update on July 24, 2018 by JakPat.